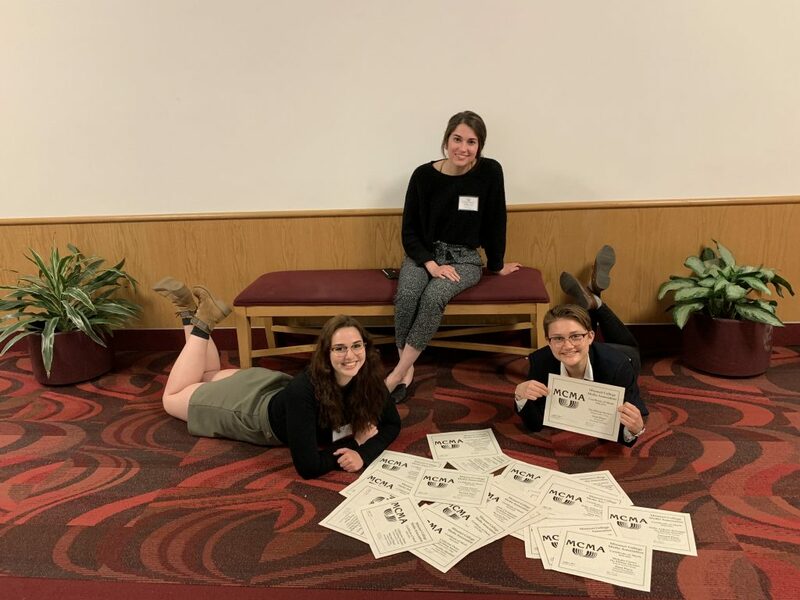 After coming out on top at the annual Missouri College Media Association (MCMA) awards ceremony, Hilltop Monitor Editors-in-Chief Sofia Arthurs-Schoppe and Christina Kirk were beaming despite the dismal weather. The two chief editors attended the conference along with Social Media Manager Cassie Hayes, Lifestyle Page Editor Madison Carroll and Faculty Advisor Dr. Lori Wetmore in Springfield, MO, April 13. The Monitor was granted 25 awards at the prestigious event, including the prize for the best small college newspaper in the state of Missouri. Event divisions were established based on the number of students enrolled in the institute at the time of the ceremony. Up against the Monitor in division three was Evangel University, Southwest Baptist University, Park University, Harris-Stowe State University, Avila University, Fontbonne University, Hannibal-Lagrange University, Stephens College, Culver-Stockton College and Missouri Valley College. Awards were granted by the state-branch of the College Media Association, the official organization recognizing collegiate newspapers nationwide. These awards are considered to be some of the most esteemed awards available for college publications, and this year, the Monitor stole the show. Of the 29 total categories, The Hilltop Monitor submitted entries for 16 and won awards for at least one entry in every one of those. In total, the Monitor won 25 awards. Each award was assigned a numerical points value – four for first place, three for second, two for third and one for honorable mention – and the sum total of the points won across every other category determined the publication which won the division’s Sweepstakes award, representative of Best Overall. The Monitor received this award for division three.